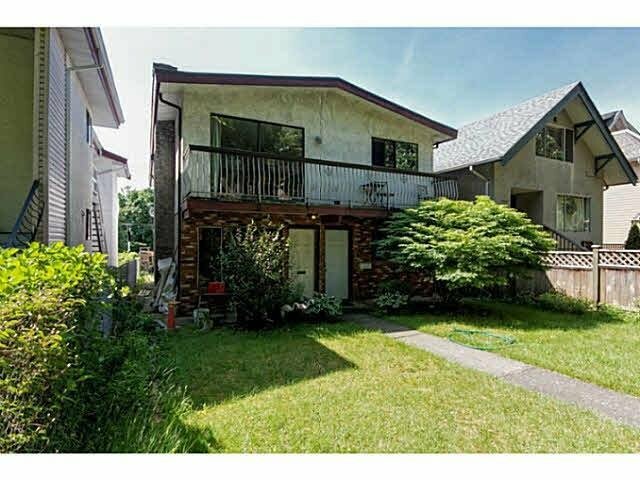 This Renovated Vancouver Special Top/Down Duplex Home features 7 bdrs 2.5 bths and in fantastic location! Home is perfectly positioned w/ front doorsteps facing Queen Alexander Elementary & Cedar Cottage Park behind your South Facing backyard! Upstairs features 3 bdrs 1.5 bath & renovated granite countertops, laminate & tile floors throughout. Bonus Spacious deck for summer entertaining & BBQs! Down has self contained suite with FOUR BEDROOMS!! Very Profitable Mortgage Helper! Only 2 Blocks from Skytrain and to all Commercial Dr amenities & VCC. Don't Miss out on this Great Opportunity! Listed By: Wynn Real Estate Ltd.